While most people think of South Florida as being an expensive place to visit, there are actually a wide variety of things to do that will not cost a cent. Besides the suggestions listed below by city, visit the Web sites for some of South Florida's attractions — Jungle Island, Monkey Jungle and Flamingo Gardens. They often offer free admission to moms and dads on Mother's Day and Father's Day and free admission on special days for residents of certain South Florida cities (proper ID is required). Also, military members and their families are admitted to nearly 100 of Florida's participating museums free from Memorial Day through Labor Day through the Blue Star Museums program. Plus, many museums offer military members free admission at any time with proper identification. 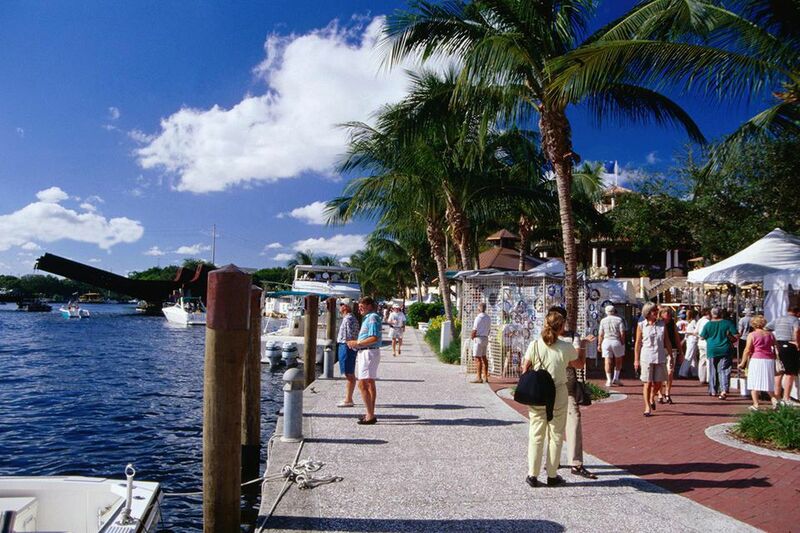 Riverwalk is Downtown Fort Lauderdale's center of arts, entertainment, shopping, dining, and nightlife. The scenic Las Olas district, lined with palms and bordered with swanky shops, is the place to see and be seen... and that doesn't cost a dime. Coral Springs Museum of Art - Free admission the first Wednesday of every month. Take a free ride on the Homestead National Parks Trolley any weekend from December through April for a tour of either the Everglades National Park or Biscayne National Park. The tours are offered to residents and visitors. Admission to the parks is waived for trolley riders! The trolley stop is located at Losner Park at 104 N. Krome Avenue in downtown Homestead. Free parking is available at the trolley stop that also connects to Miami-Dade bus routes. Admittedly, getting to Key West and even staying there can be enormously expensive, but every penny saved on a vacation counts. So, while you're in Key West you won't want to miss its Sunset Celebration. It's fun and it's free ... and the sunsets are unforgettable. Lake Placid — affectionately known as the Town of Murals — is where you'll find over 40 murals adorning buildings in the downtown area. That's just the beginning, there are surprises in this little town around every corner. Small parks and green spaces are punctuated with over 60 benches perfect for enjoying the beautiful surroundings. And, helping to keep the downtown beautiful are the one-of-a-kind sculptured trash containers scattered about town — a steam locomotive sitting on its own tracks, a larger than life turpentine bottle, a jail, and beautiful butterflies are just a few of the creative containers that stand ready to take on your trash. Mounts Botanical Gardens Palm Beach County's oldest and largest public gardens are open to the public with free admission. The gardens are closed most holidays. The Okeeheelee Nature Center features two and a half miles of trails winding through 90 acres of pine flatwoods and wetlands. Hands-on exhibits and animal encounters are highlights.